PHARR — As the international bridges in the middle and lower Rio Grande Valley bucked the trend of decreasing southbound car traffic, fewer passenger vehicle crossings are occurring in McAllen and Pharr. There were 10,434 fewer cars that crossed the Pharr-Reynosa International Bridge in April, compared to April 2017, according to numbers from the bridge. Fred Brouwen, Pharr Bridge director of operations, reasoned that construction on Reynosa side of the bridge and violence in Tamaulipas has contributed to the drop. This is the seventh straight month of declining southbound car crossings for Pharr. The Anzalduas International Bridge saw 2,425 fewer cars cross this April, compared to April 2017. The Hidalgo-Reynosa International Bridge saw a decrease of 2,195 in that same period. 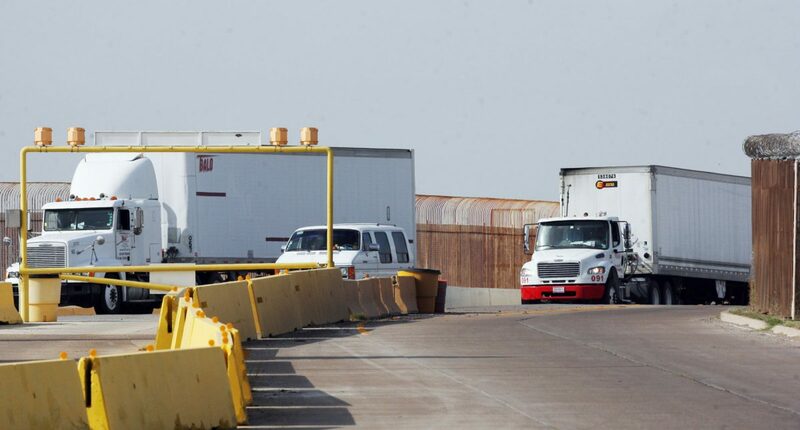 Brownsville and the Mid-Valley international bridges had more southbound success in April. The three Brownsville bridges had a total of 8.406 more cars cross southbound than April 2017; the Progreso-Nuevo Progreso International Bridge saw 1,179 more southbound cars and the Donna-Rio Bravo International Bridge saw 3,279 more southbound cars. While Pharr and McAllen struggled with southbound passenger vehicle traffic, they both had large success with southbound truck traffic. Pharr saw 5,168 more trucks cross its bridge southbound this April than in April 2017; Anzalduas saw 1,790 more trucks comparing the same months, which is a 107 percent increase for the bridge that only crosses southbound empty trucks. Anzalduas began handling the crossing of southbound empty trucks in August 2016. Despite the declining car crossings, truck crossings have made up the difference financially. Since October, the bridge has made $7.98 million since the fiscal year began October, up $90,392 from that same period last year.